SALO has so far concentrated its consensus-building work on Southern Africa, especially Zimbabwe, Swaziland and the DRC (Great Lakes Region), as well as Sudan/South Sudan, the Horn of Africa and Palestine. 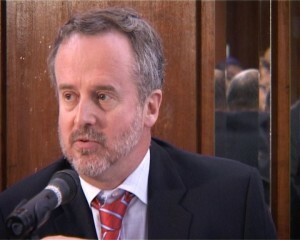 Colin Wrafter, Former Ambassador, Embassy of Ireland, South Africa. Irish Aid and the Irish Embassy were the first funders of the consensus-building network and have remained strong supporters of the programme. SALO believes that sustainable conflict resolution requires dialogue among a wide range of stakeholders in order to shift the positions and therefore the actions of key decision-makers. Dialogue and engagement shift positions by building relationships and trust among and between state and civil society actors. The aim is also to generate consensus at national, regional, and international levels regarding the nature of the ‘problems’ as well as the nature of possible ‘solutions’ in a crisis. Building trust and shaping positions require both informal (off-record) and formal (public) dialogues. Our formal and informal liaison work complements our dialogue events and multi-media knowledge products in helping players better understand one another’s policies and perspectives. SALO has a track record of both formally and informally engaging in dialogue with policy-makers within the highest levels in the South African government, the ANC Alliance and ANC-related structures. Building on this basis, SALO has established strong working relationships with government actors in Southern Africa, with African regional bodies (including SADC and the AU), South-South forums such as BRICS and IBSA, and Northern players such as the EU/ OECD member states. Linking civil society with government and inter-governmental role players is a key part of SALO’s approach. Documenting debates and positions through multi-media products (policy briefs, background papers, meeting reports and videos) to build an archive of knowledge and broad dissemination of consensus processes. Click here to view highlights from our Policy Dialogues. You can access our “Policy Dialogue Reports” here.